Groundhog Removal & Groundhog Trapping in Central Virginia. Groundhogs in Richmond VA, Charlottesville VA and other areas of Central Virginia are excellent diggers; they dig both simple and complex burrow systems. Most burrows are 25 to 30 feet long and from two to five feet deep, with at least two entrances. The main entrance is often the most conspicuous, with a large mound of freshly dug dirt nearby. The other, less visible entrances are used for escape purposes. A nesting chamber for sleeping and raising the young is found at the end of the main tunnel; a separate toilet chamber helps keep the burrow clean. During the warmer months, groundhogs are commonly seen in the early morning or late afternoon. They rely on their keen hearing and sense of smell to give them enough time to escape to their dens when danger is near. They can be fierce fighters when cornered by their enemies, which include man, dogs, coyote, foxes, bear, hawks and owls, bobcat, mink and weasels. Did you know that ground hogs are also known as whistle pigs and woodchucks? Want to know how to get rid of a groundhog? We provide fast, safe and humane groundhog removal, groundhog trapping, groundhog capture, groundhog control and groundhog management in Richmond, VA and other areas of Central Virginia. We also provide groundhog fencing and groundhog exclusion services to help keep them from digging beneath structures. Call us today at (804) 729-0046 or toll-free at (888) 824-7383. Usually the best way to remove from your yard or property is with a live groundhog trap. Listed below are step-by-step trapping instructions as well as tips to help you safely and successfully catch a groundhog. Choose the proper size groundhog trap. Size really does matter. Normally, you want a trap 32″ to 42″ in length. Determine proper trap placement. 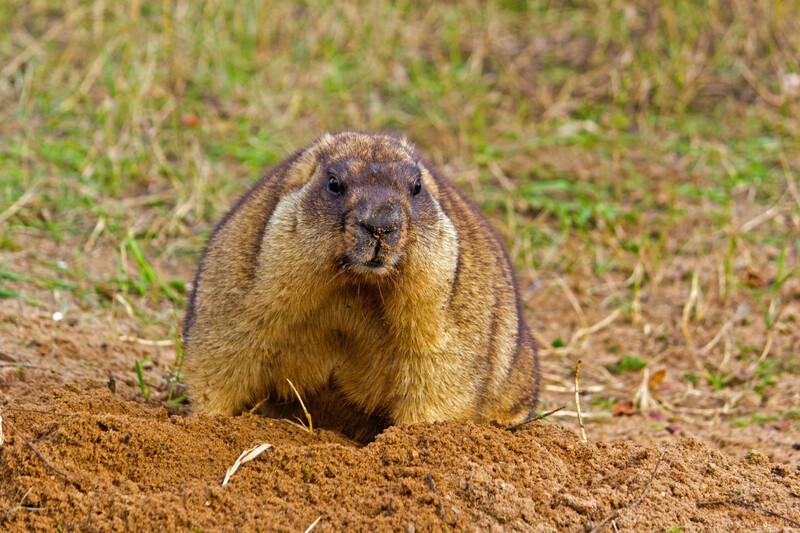 Identify any groundhog burrows on your property. A groundhog rarely strays far from its home, so the best place to set your trap is close to their entrance. If you aren’t able to locate a burrow, place the trap in an area where your groundhog frequents or where you’ve seen the most groundhog damage. Place your trap on an even, level surface to ensure stability. Camouflage the groundhog trap. Groundhogs are wary creatures and may be reluctant to enter an unnaturally shiny cage trap. Camouflage your trap to make it more inviting by using natural cover elements. Add some enticing groundhog bait. Cantaloupe is a groundhog favorite. Another great bait would be anything your groundhog regularly steals from your garden. It is crucial that you properly position your bait. Place it in a way that forces the groundhog to fully enter the trap. Groundhogs are skittish, but one should be confident when entering your trap. Familiarize your groundhog with the trap by tying it open and leaving bait inside for a few days before you set it. Set (activate) the trap. Set the door or doors open by following your trap manufacturers unique setting instructions. Once your trap is set, test the trigger mechanism by applying pressure to the trigger plate. Monitor the trap and check it at least once daily. It’s the law in Virginia that all groundhog traps be checked once a day. A groundhog may quickly become anxious once it’s trapped inside the cage. It is important to check your trap regularly to prevent it from trying to escape and injuring itself. It can take a few minutes or a couple of days to catch a groundhog, but you should never leave one trapped for a long period of time, especially in the summer heat, when they can die quickly from becoming overheated. After you’ve caught a groundhog. Wear heavy gloves when handling the trap, and hold it away from your body. Cover the cage with a cloth or tarp to keep the groundhog calm. Some people advise you to relocate a groundhog at least 5 miles away from your property. NOTE: Relocating wildlife in Virginia is illegal. Though groundhogs are not generally aggressive, one might attack if it feels threatened. Get to know the laws in Virginia and your locality before trapping a groundhog. REMEMBER, you CANNOT relocate groundhogs in Virginia. Groundhogs avoid humans and will avoid a trap if it carries human scent. Clean your trap each time before you use it, and always wear gloves when you handle the trap – even when it’s empty. Anchor your trap by placing a brick on top of it so that it doesn’t rattle and startle the groundhog when it enters. Channel your groundhog into the trap by placing logs in a “V” or funnel shape outside of the entrance. Erecting a fence at least three feet high will keep most groundhogs out; however, they may try to burrow under the fence. It is recommended that the fence extend underground another one to two feet. They have also been known to climb over fences, in which case a one-foot extension that is bent outward at a 90-degree angle should be added to the top of the fence. Contact us and your local health department if an animal exhibits signs of rabies such as stumbling, foaming at the mouth or aggression. Q. I caught a groundhog in my own trap, what do I do now? A. First, what you can’t do. It is against Virginia law and the laws of Richmond and Charlottesville VA for you to transport the groundhog and / or relocate the groundhog to some other location. Doing so can result in criminal charges being placed against you. 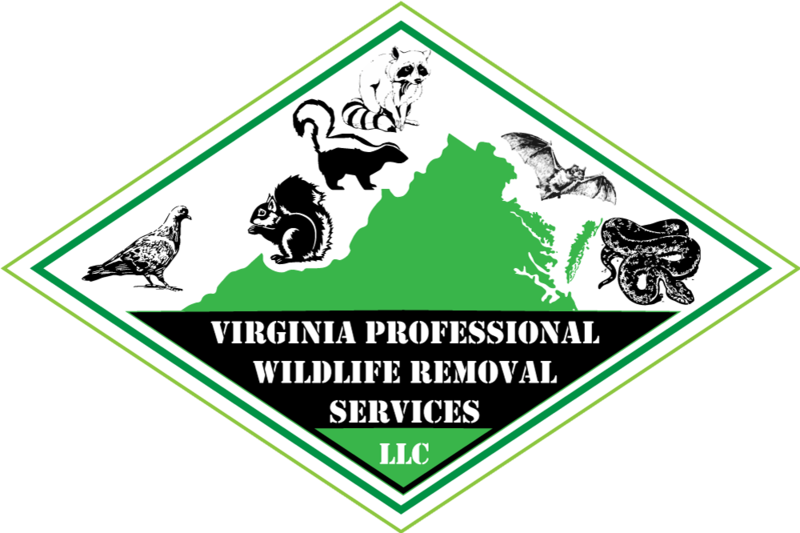 Only properly licensed Virginia wildlife removal technicians can transport wildlife, and even we aren’t allowed to relocate wild animals. We prefer that you leave groundhog removal in Richmond and Charlottesville VA to the pros, but if you’ve trapped a groundhog in your own trap we’ll be glad to remove it for a fee. Q. What are some other names for groundhogs? A. Groundhogs have several different names including woodchucks, whistle pigs, and land-beavers. Some people mistakingly call them marmots, prairie dogs, gophers and hedgehogs. A. Groundhogs are diurnal. Unlike opossums and other large rodents who are nocturnal, groundhogs sleep at night and conduct business during the day, usually during the coolest periods of the day. A. Although groundhogs spend most of their time on or under the ground, groundhogs are excellent climbers and can even climb trees. Q. How do I get rid of groundhogs? A. Groundhogs are known for getting into crawlspaces and digging beneath decks, porches, sheds, barns and garages. The best way to get rid of groundhogs is to humanely trap them. We get a lot of calls from potential customers who live in the Richmond VA and Charlottesville VA areas where groundhogs are eating the vegetables in their garden or digging in their yards. We routinely provide them with the best groundhog removal services in Central Virginia. Q. How do I kill groundhogs? A. You should NEVER poison groundhogs. Poisons are dangerous and should be left to licensed professionals. The best way to get rid of groundhogs is by trapping them. The type of groundhog traps we use is dependent upon what we find during our evaluation of your particular groundhog problem. Q. What do groundhogs eat? A. Groundhogs are mostly herbivorous, groundhogs eat primarily wild grasses and other vegetation, including berries and agricultural crops, when available. Clover, alfalfa, dandelion, and coltsfoot are among preferred groundhog foods. Woodchucks also eat succulent grasses, weeds, clover, fruits (apples, cherries, pears), berries, field and garden crops (cabbage, lettuce, beans, peas, carrots, alfalfa, soybeans), and ornamental plants (they love phlox). Q. What is the best groundhog bait? A. The best groundhog bait is the one that catches groundhogs. We have heard of people using cantaloupe, peaches, apples and other types of fruits to trap groundhogs. Since groundhogs are primarily herbivores, we use baits and lures manufactured for the animal removal industry to help remove woodchucks that are damaging your property. Q. Do groundhog repellents work? A. We are often asked if groundhog repellents work. Do It Yourself people often use mothballs, ammonia, and other over the counter remedies to get rid of groundhogs. The truth is none of these methods ever working for getting rid of groundhogs. Q. Groundhog vs Gopher, are they the same animal? A. Groundhogs, also known as woodchucks, are different animals from gophers. Although both groundhogs and gophers are ground dwelling animals, people often confuse the two species. Gophers, Pocket Gophers, Prairie Dogs do not exist in the Richmond and Charlottesville areas of Virginia. Most digging or tunneling damage in our area is from moles, voles, raccoons, skunks, groundhogs, squirrels and woodchucks. A. Groundhog is just another name for a woodchuck. They are the same animal. They are also known as whistle pigs or ground hogs in some areas of Richmond and Charlottesville Virginia. A. Groundhogs are true hibernators. In most areas of Virginia, groundhogs hibernate from October to March or April, but in more temperate areas, they may come out of hibernation earlier. It is not unusual to see some groundhogs out during the winter, particularly during periods of extreme warm-up. Q. How many baby groundhogs are in a litter? A. Groundhogs have one litter per year with each litter containing two to six baby groundhogs. The baby groundhogs are usually born in April or May after a 31 to 32 day gestation period. Contact Us at (804) 729-0046 or toll-free at (888) 824-7383 to speak to one of our local groundhog removal pros. They know how to get rid of groundhogs safely and humanely. We can help you learn to successfully trap and remove groundhogs that are damaging your property and eating your garden. These tips on catching groundhogs utilize time tested methods. Follow these steps to learn how to be an effective woodchuck trapper.